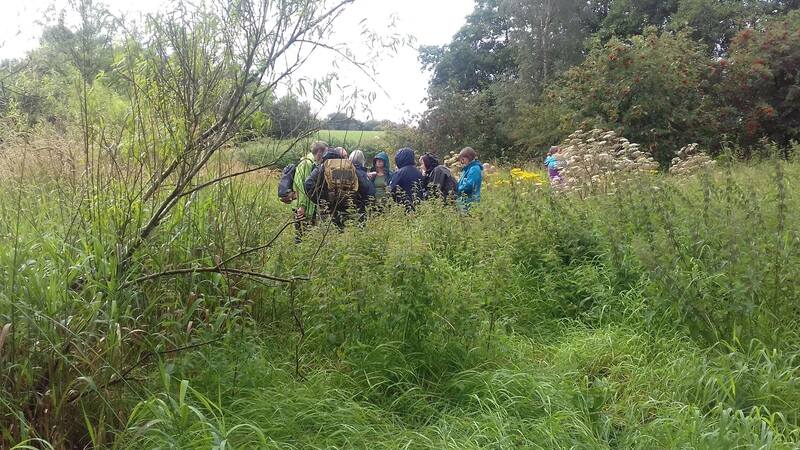 As is the trend with Where’s Wildlife in Ayrshire, it rained on the last of our dragonfly ID training days….not just a little, but it poured, twice! 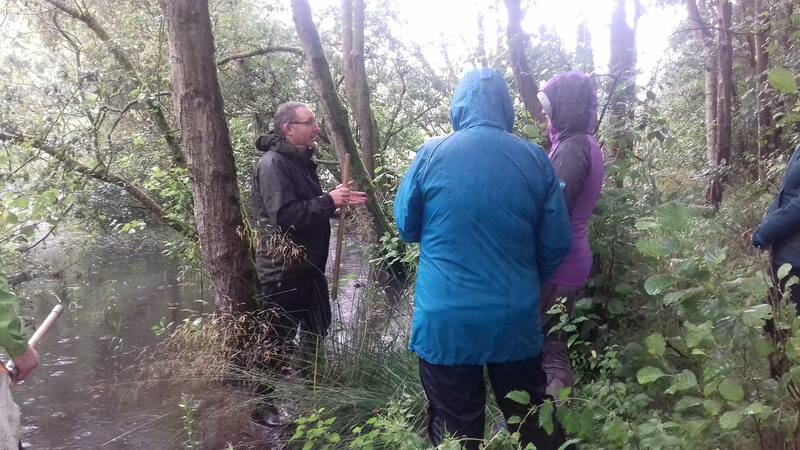 However this did not stop us venturing out to do some pond dipping to see if we could find some dragonfly larvae. The classroom session was ran by the Where’s Wildlife in Ayrshire project officer, and by Mark Pollitt of South West Scotland Environmental Information Center. This gave everyone an insight into the species found in Ayrshire, and the key features used to identify them. After lunch, and after waiting for the rain to pass, we headed out to the pond at Auchincruive estate. This pond is tucked away behind a line of trees, and is a hidden gem for wildlife, as not many people know it is even there. With the weather being unkind to us, we did not see any adult dragonflies or damselflies, even though the habitat was perfect. Upon pond dipping we did however find some damselfly larvae, several newts and various freshwater invertebrates. 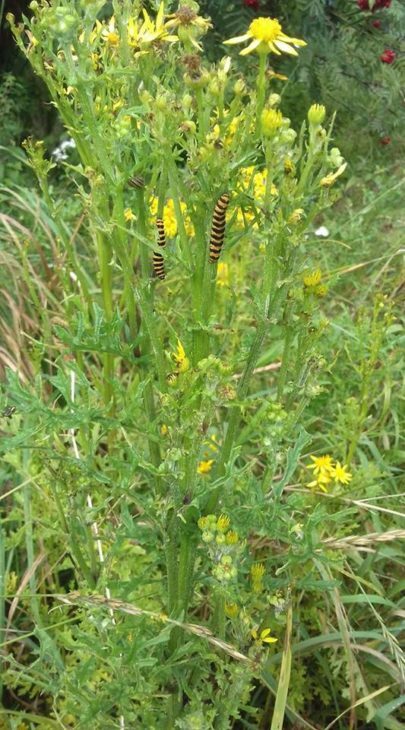 We also recorded several frogs and some Cinnabar moth caterpillars on ragwort. Mark showed the group how to look for dragonfly and damselfly exuvia (larva cast skins) on vegetation around the waters edge. However, with all the recent heavy rain, the light and fragile cast skins had been washed away. Although we did not see our target species, Mark was able to show the group how to record wildlife sightings in the field using irecord app. An easy way to record as you go! Although the weather of summer 2017 was not on the side of the Where’s Wildlife in Ayrshire project, we did successfully run 12 training courses and helped people to better understand their local wildlife. Next year we will be running a new set of species ID training courses and we would love to hear your ideas for what you would like to learn more about. Many thanks to all that attended, and to Mark for his help in running the workshop. Hope to see you all again next spring for some new and interesting ID courses, and don’t forget to keep recording!